Previous post: By Jove, I think I’ve got it! 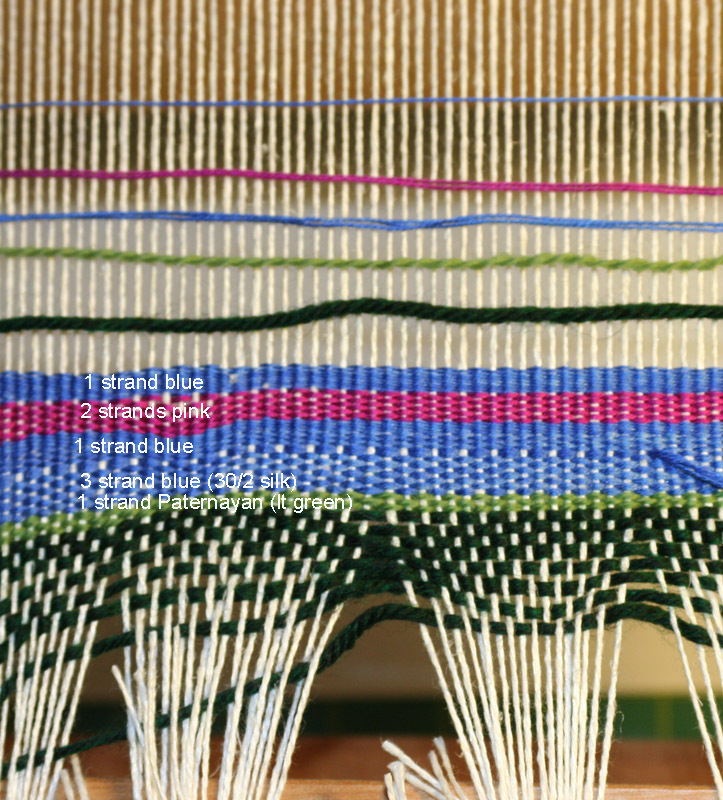 The way I was told to space my warp on my tapestry loom was to wind warp-and-weft around a WPI stick together, side by side, and then count the number of warp strands in the inch, and use that as the sett. My tapestry loom has a built-in spacer at about 6 epi, and warps up nicely with cotton rug warp for weaving with worsted weight wool (both of which I realize are likely not in your stash, grin!). One of the things a good tapestry requires is a drum tight warp. Impossible on a table loom, so far as I know. Most possible, I believe on a good sturdy CB or CM loom. When you are done learning and playing, you might think about making an Archie Brennan loom. Directions are all over theinternet and you are more than capable of easily making it. Sarah Swett swears by a wool, rather than a cotton or linen warp. Her wefts are wool (mostly) and she feels the similar fibers “snuggle” better in the finished project. If I remember correctly, the Navajo rugs also have a wool warp.